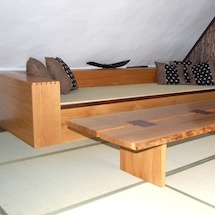 As well as generating more solar power than we use we also aspire to make our furniture as sustainable as possible and have also now incorporated a new bamboo based material within our range called Timboo. 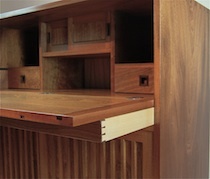 Every effort is made to ensure that we make furniture that is either close to or better than carbon neutral. All of our furniture comes with a 5 year guarantee on workmanship and we hope that the pieces that leave our workshop will become the heirlooms of future generations. The range of things that we make is very broad, but we always endeavour to make each piece with quality materials and “kami” - the Japanese word for spirit.